KR Strikeforce has created the KRush line of bags featuring the popular color orange. 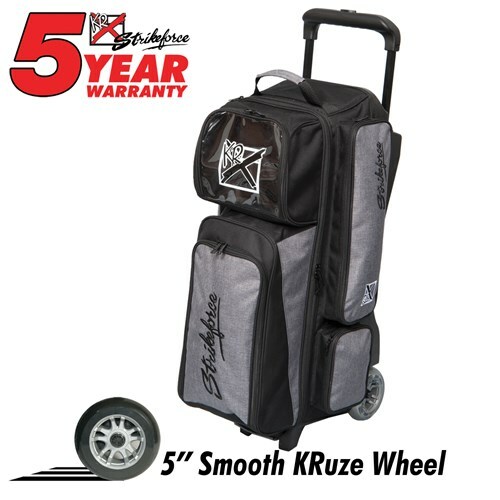 The KRush Triple Roller is an attractive bag with high end features at a reasonable price. Don't crush on any other bag, get the KRush! Accessory Pocket: Large accessory pockets on both sides. 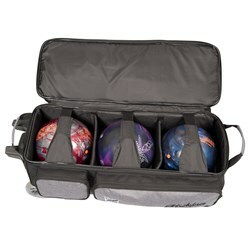 Interior: Velcro retaining straps to secure the bowling balls in place. 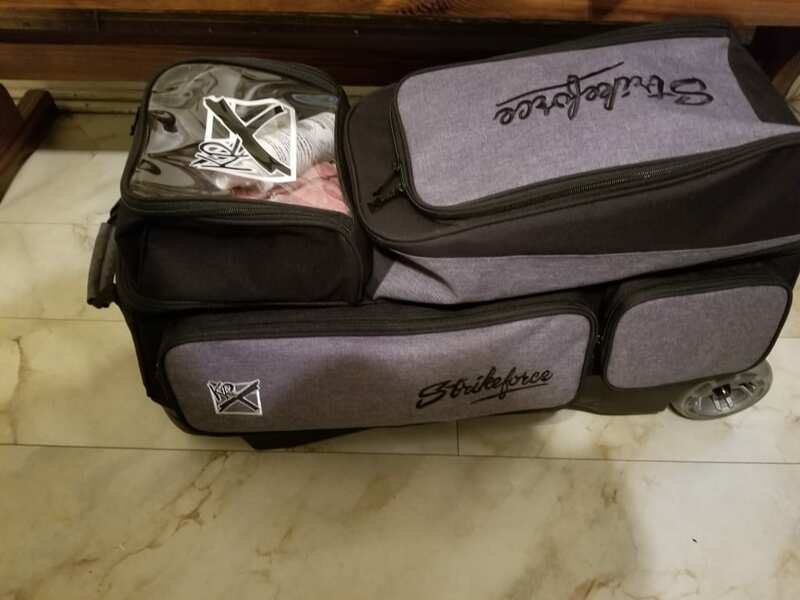 This is my first bag and it's great. Good price for a 3 ball bag that I found. Makes transporting my stuff a lot easier. 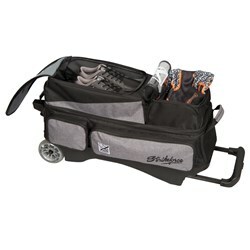 My shoes, wrist brace, ball cleaner and everything else is in this bag. How many total pockets does it have? There are two large accessory pockets on both sides. Due to the time it takes to produce the KR Strikeforce Krush Triple Roller Stone/Black ball it will ship in immediately. We cannot ship this ball outside the United States.